Of the four tree squirrels, the eastern fox squirrel is considered to be the most serious pest to homes and gardens in urban and suburban environments. Fox squirrels that are found to be injuring growing crops or other property may be taken (killed) at any time or in any manner in accordance with the California Fish and Wildlife Code and Regulations (henceforth called “the Code”). Only eastern fox squirrels can be killed without a hunting license or permit. Several types of kill traps are useful for fox squirrel removal, but they must be set in a way that will not accidentally trap nontarget animals. Live-catch cage traps are also available, but once caught, the squirrel must be euthanized, presenting a problem for some people. Because releasing captured wildlife of any species off site without a permit is illegal, live-catch traps are not recommended. If land or property is being damaged or destroyed, or is in danger of being damaged or destroyed by a western gray squirrel or an eastern gray squirrel, then the owner or tenant of that land or property may apply to the CDFW for a depredation permit which will allow for the killing of the squirrel. The CDFW will designate the type of trap to be used to insure the most humane method is used to trap gray squirrels. Under the terms of the depredation permit, it may be required to release trapped western gray squirrels in parks or other nonagricultural areas. Remember, it is not permitted to use any type of poison to control tree squirrels, including western gray squirrels, even when in the possession of a depredation permit. In addition, any trapper for hire must possess a valid trapping license from the CDFW when trapping any squirrel species for profitable gains. Also, a valid hunting license is required for sport hunting of tree squirrels. 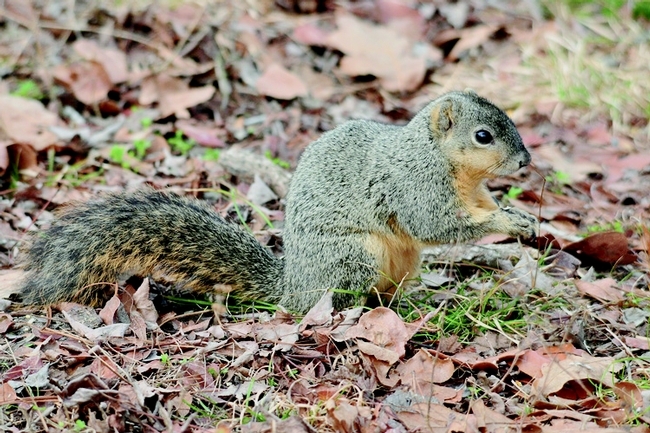 A hunting license is not required, however, if a landowner legally shoots an eastern fox squirrel causing property damage, even if done so outside the hunting season. While an uncommon occurrence, tree squirrels can be associated with pathogens that can potentially be harmful to humans. Under the Code, tree squirrels that are associated with dangerous disease outbreaks may be taken by appointed organizations. See section 4011 for a list of organizations to contact in such a case. Tree squirrels are considered as resident small game. When the Code refers to “tree squirrels” it means eastern and western gray squirrels, eastern fox squirrels, and the Douglas squirrel. Details of the hunting areas and season for tree squirrels can be found in chapter 2, section 307. Be aware of differences in zones, as well as counties, and for differences between general hunting and taking using falconry and bow and arrow. The regulations that govern take of tree squirrels can be found in section 311. 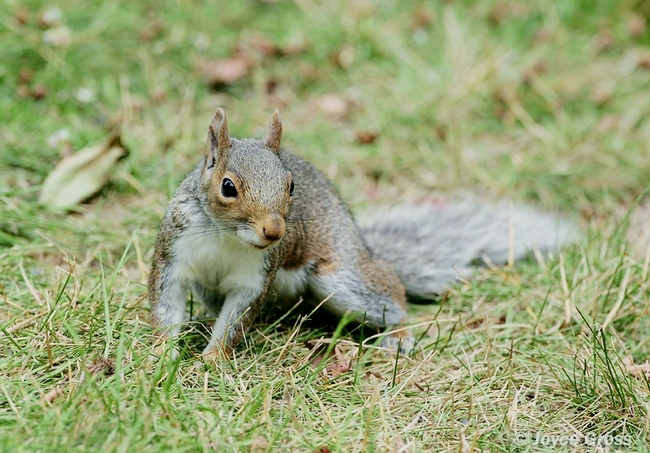 In the Code, reference to “gray squirrels” means both eastern and western gray squirrels. It may seem unusual that the regulations for the management of a native and an invasive species are the same; but that is what the Code says, and it is important to follow it. Information on depredation permits for eastern and western gray squirrels can be found in section 4181. Ground squirrels, on the other hand, are classified as nongame mammals. They can be controlled in any legal manner if they are injuring growing crops or other property. There are several options for their control: habitat modification, trapping, and the use of poison baits and fumigants. Unlike tree squirrels, California ground squirrels can harbor diseases harmful to humans. One of the most commonly transmitted diseases from California ground squirrels to humans is bubonic plague, a flea-borne disease transmitted to humans from flea bites. If you find unusual numbers of dead squirrels or other rodents for no apparent reason, notify public health officials. It is never a good idea to handle dead rodents but it is especially important not to handle, or be in the vicinity of large numbers of dead ground squirrels. For more information on tree squirrel management, consult the UC IPM Tree Squirrels Pest Notes and the California Department of Fish and Wildlife Code. For information on ground squirrel management, refer to the UC IPM Ground Squirrels Pest Notes. To read the full article and see a detailed table of distinguishing features and management restrictions for the squirrel species discussed, visit the November issue of the newsletter.